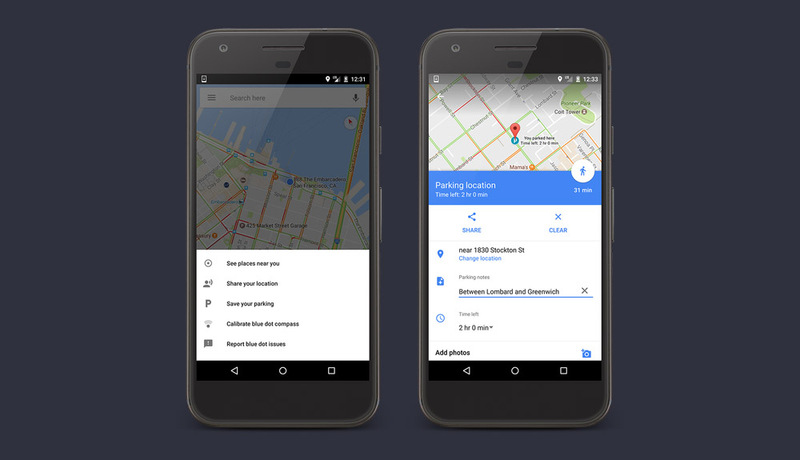 Google Maps is now not only your parking advisor, it’ll help you locate your car after a night or day on the town in a mysterious city. Thanks to a new update, saving your parking location with notes and a meter timer is now easier than ever. Once updated, Google Maps should recognize as you drive somewhere and then park. It’ll then place a “You parked here” pin and dot on the map wherever you stopped, or you can always tap on your blue location dot and then “Save your parking” to access the settings at any time. From there you can even drag your parking location, should it not be accurate. From within the parking section of Maps, there are options for changing location (as I just mentioned), as well as parking notes, meter timer, adding photos, walking navigation directions to the spot (with an estimated travel time), and sharing. The update was supposed to rollout within a few days, but I just got it this morning. Be on the lookout!